“Lord, how good it is for us to be here.” These words from the Gospel of Matthew are above the main entrance leading into our worship space to welcome all who come to worship and pray with the Body of Christ here at Transfiguration. All are welcome to be here and this parish website is a reflection of this welcome. “All are welcome” takes on a special significance as one gets to know the stories behind the ministries and programs presented described on this website. The ministries and programs described are a powerful reminder of the diversity within Transfiguration faith community – from people to gifts. This diversity strengthens our expression as the Body of Christ in the world and the sharing of our gifts blend together so the message of Jesus Christ comes alive as we continue our journey of faith, both here in our church buildings and out in the world. “Lord, how good it is for us to be here” rings true here, and as the Body of Christ we bring that spirit of welcome out to our lives, and as we welcome our friends to Transfiguration. My prayer is that we are always aware the gifts we share are nourished as we come together to celebrate the sacraments and live as Christ in the world today. It is my hope that we continue to show our gratitude for our blessings by always being available to one another as we continue our great journey … as brothers and sisters. 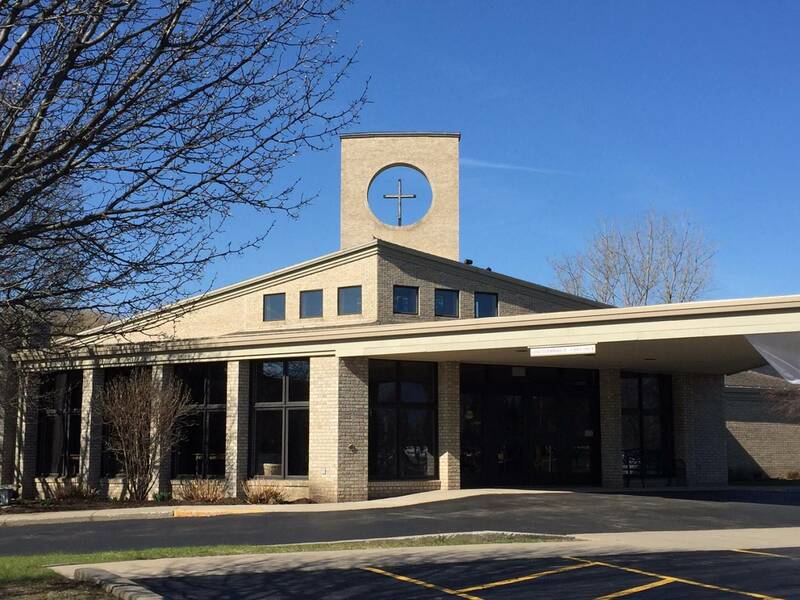 If you are new to the parish or visiting I look forward to meeting you and welcoming you to the Transfiguration faith community; we work very hard to maintain a welcoming spirit and we want you to share in this spirit. May we continue to be blessed by each other’s love and God’s love! A registration form for new parishioners can be found here. Please print it out, and return it to the Parish Office - thank you! Parishioner Talent Survey: The goal of this survey is, simply stated, 'we want to know you better'. By we, we mean the parish staff. We want to know what work fulfills you, what you are passionate about, what you love to do in your spare time. All new parishioners are asked to please take this survey when they join the parish. It should take no more than 5 minutes to complete. Thank you! Children are always welcome at Transfiguration. We strive to make your entire family feel at home at our parish. You are always welcome to have your children with you during Mass We expect and enjoy their occasional 'contribution' to Mass. Their presence brings much joy to our parishioners. We have a "Wee Ones Word" program where toddlers and a parent can attend an age appropriate activity during the readings and homily. "Children's Liturgy of the Word" is held during the readings and homily, where children ages 4-8 receive age appropriate instruction and activities. We have an enclosed chapel in the rear of the church, with floor to ceiling window views of the altar and speakers carrying the Mass audio. You are welcome to sit in the chapel if your family is more comfortable there. If your little one needs to move around during Mass, you may bring them out to our Gathering Area entry way. The Mass audio is available in the Gathering Area, and the altar is visible through the glass windows and doors. We have a nursery available for you, with CCTV of the Mass. There is rocking chair for nursing mothers and fussy infants, a changing table, a sink, plenty of toys, and a child sized bathroom. Children (typically over the age of 4) can volunteer to assist with the collection during church by passing baskets among the pews. It is a wonderful way for your child to take part in Mass. Your child's presence at Mass is a gift to all of us, and we are grateful that you have brought them with you to Transfiguration. Below are pictures of our Chapel, Gathering Area and Nursery. We hope to see you at Transfiguration!